I was walking past Mango (Avenues) when something in there caught my eye and I decided to go in. 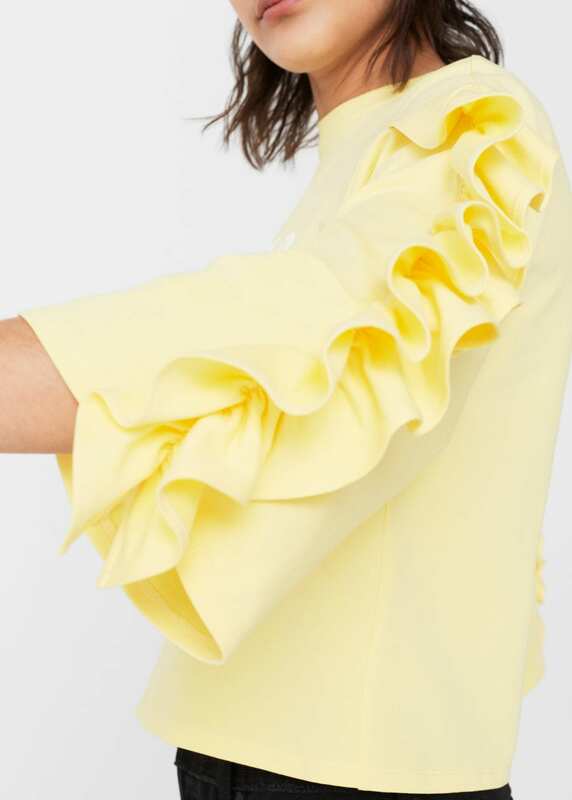 I’d like to preface this by saying that I don’t recall ever purchasing something from Mango in the past, let alone several somethings. What I’m saying is this was pretty much my first Mango haul ever. At first the sales assistants left me alone as I did my usual lap around the store, save for giving me the stink-eye as if to say “What is this homeless-looking person (unruly curls, not a stitch of makeup, t-shirt, jeans, flats, and a backpack) doing in our store?” but once I had a huge pile of clothes, they all started hovering around me asking me if I needed any help (which I find extremely annoying because I prefer shopping in peace) so I put them to work by handing them my clothes to hang in the changing room for me as I continued my lap in peace. 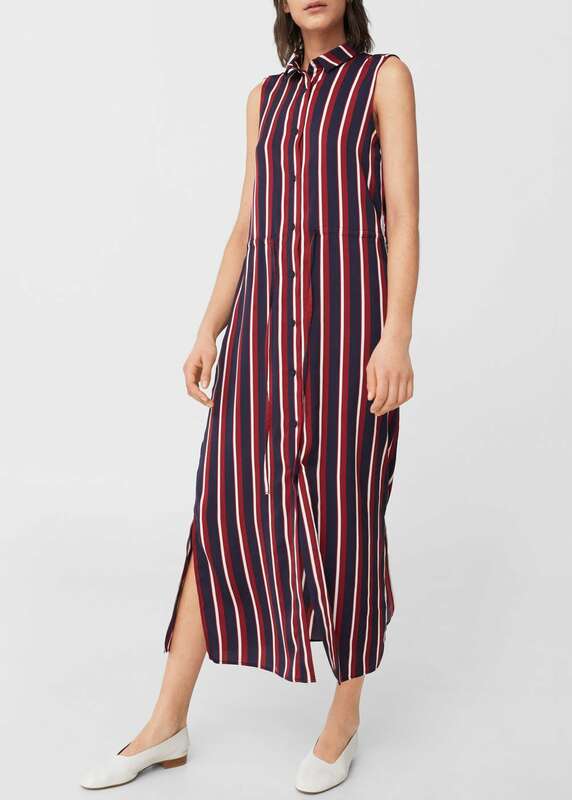 This gorgeous Flowy Striped Dress in the color “Cherry” was what drew me to the store. 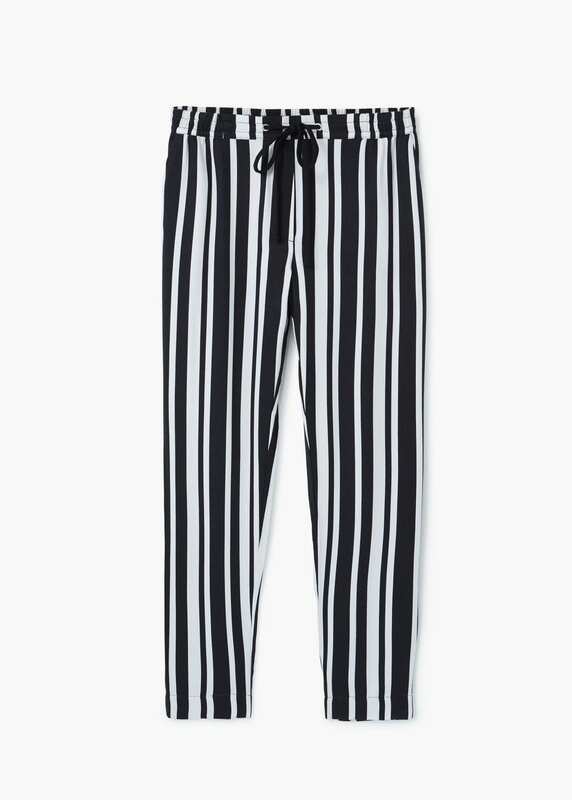 I know what you’re thinking, “Enough with the Stripes already!” but you guys, does the Striped Print not look exactly like the Striped Pajama Pants I got from H&M? 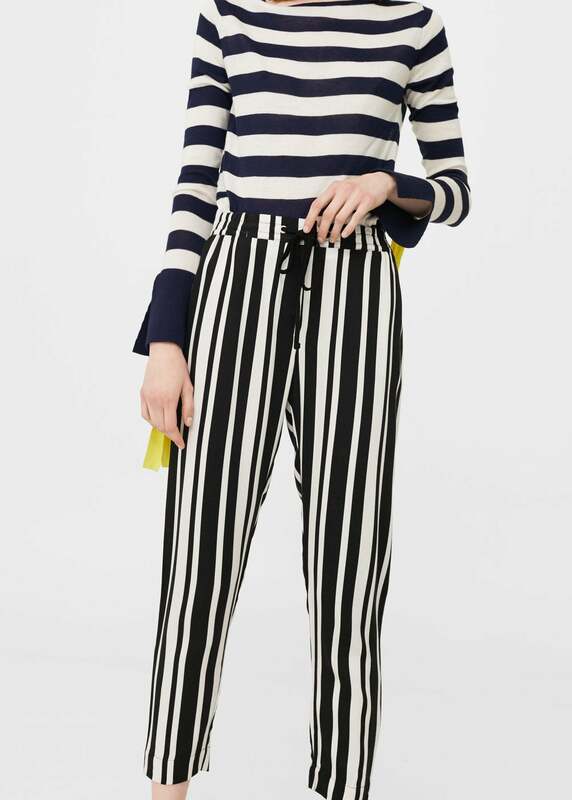 I don’t know what’s with me and Striped Print in this specific color combination but there’s something I find extremely appealing about it for some reason and I clearly just can’t get enough! 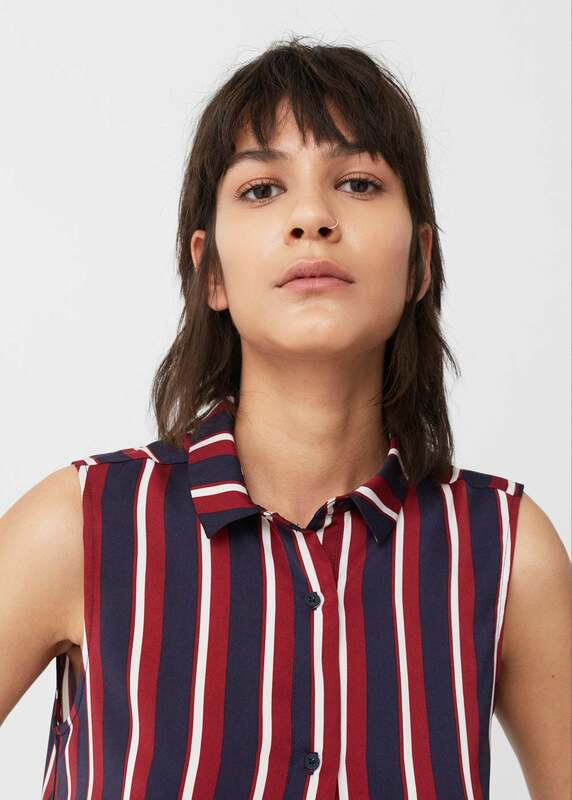 As you can see, it’s got a Shirt-Style Collar that buttons all the way up, white is quite flattering, unlike the neckline on the Forever 21 Striped Dress. 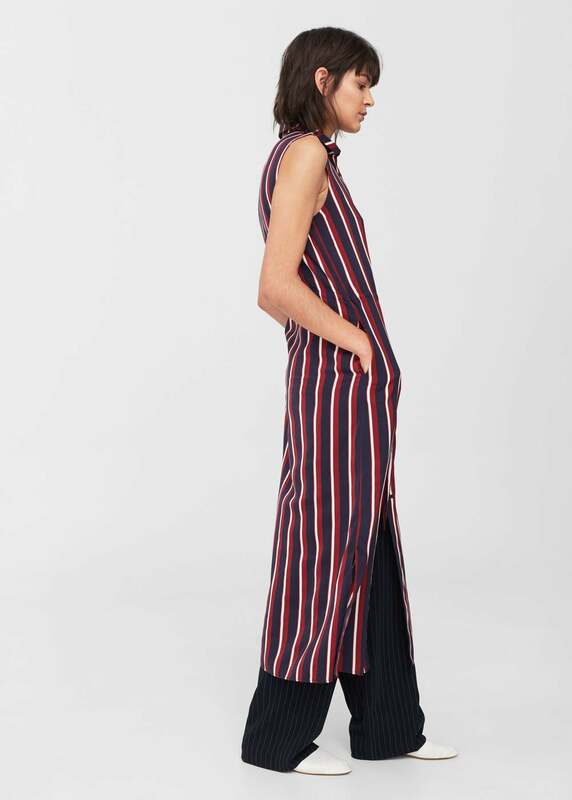 It’s also got pockets (+10 swag points) and a side slit hem. 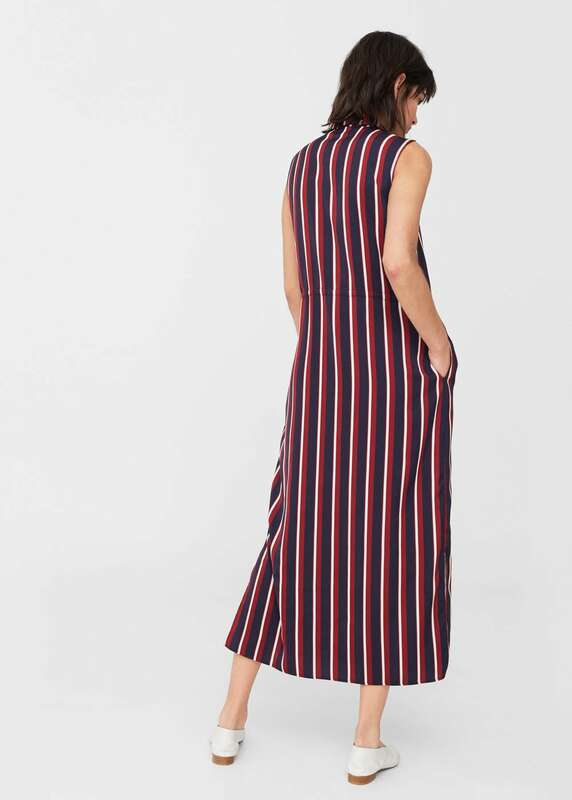 As you might’ve already gathered from my Zara Haul I’ve clearly got a thing for side slits. Although it’s a more flowy dress (hence the name) it also happens to have a drawstring waist, which I generally don’t care for, but it blends in so well that you can barely see it, so I don’t really mind. With that being said, the dress is significantly longer on me than it is on the model, which I actually prefer. 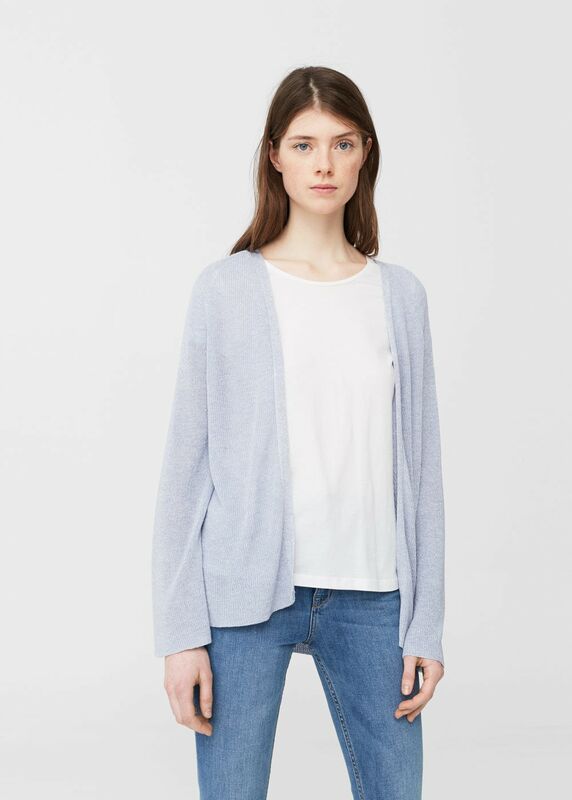 I just could not resist trying on this Side Slit Cardigan! 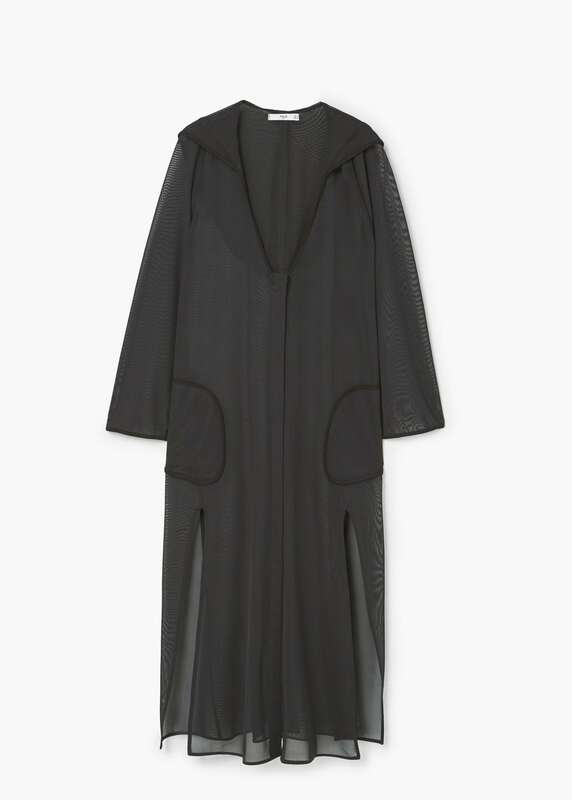 I know it looks like a typical Abaya in the photo but in real life it actually looks more like something a boxer would wear before hopping into the ring. For starters, the fabric on this thing is sheer! As soon as I noticed that, I was like “Okay. Must-have!”. As always it’s a bit longer on me than it is on the model and I like it that way. 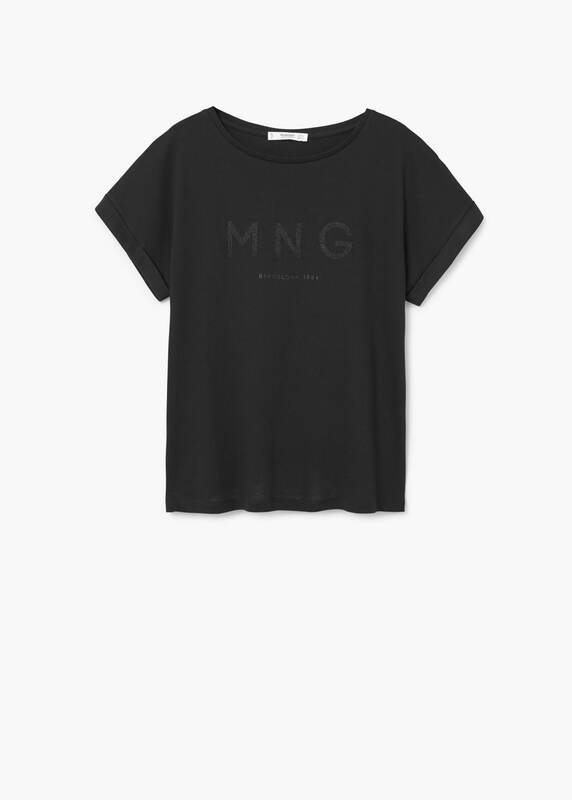 It’s available in Black (as shown) and Khaki. It’s also got pockets (+10 swag points!) and concealed button fastening. And it’s got side slits! And it’s got a hood! I die! I love tops with hoods! 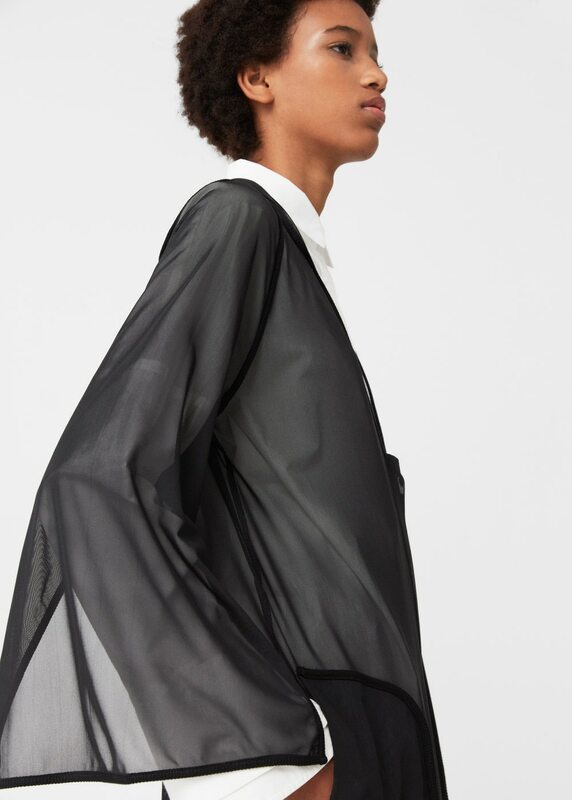 Even the long sleeves have slits on the side! 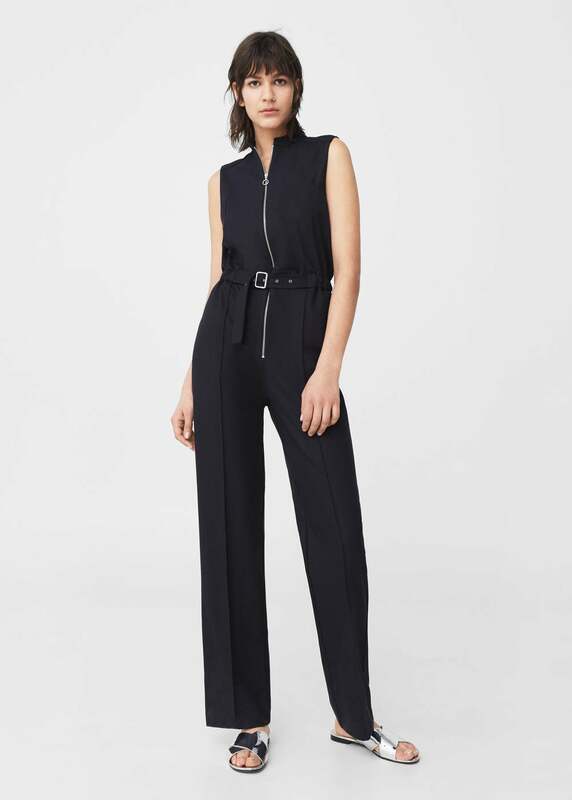 I actually walked away from the Zip Long Jumpsuit in the color Dark Navy because I didn’t want to deal with the hassle of trying it on (read: it did not look foolproof and I got intimidated) but I went back for it and I’m so glad I did! On paper, it’s got a lot of things I actually don’t love, such as the rounded neck (as someone who doesn’t have an elegant swan-like neck, I’d prefer my clothes to not minimize what little height my neck actually does have), the elastic waist (which on me, tend to bunch up in all the wrong places), and the two welt pockets on the back (point?). That said, once I tried this on, I really loved the way it looked on me (especially from the back)! Not only did it look smart but it also made me look (or at least feel) taller! So I quickly got over all that other stuff that I didn’t like. I mean, I didn’t have to zip it all the way up which pretty much solved the neck-minimizing issue. Plus, the hardware on the zip itself is that circular design that’s currently having a “moment”. I went a size up and the elastic waist was no longer an issue either. Plus, the removable belt looked pretty cool (I really, really like buckles). Lastly, it had two side pockets (+10 swag points!) so in the end, I was won over. Hopefully you’ll be able to see them in their full glory in this photo (nicked off of Mango‘s website). There’s not much to say. They’ve got a medium waist with loops on them. 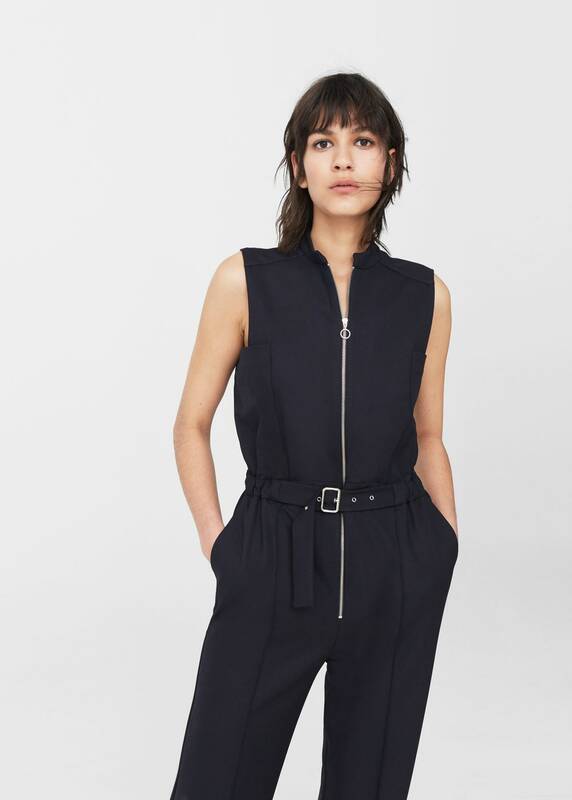 Single button and zip fastening at the front. They’ve also got the usual 5-pocket thing commonly found on Jeans. 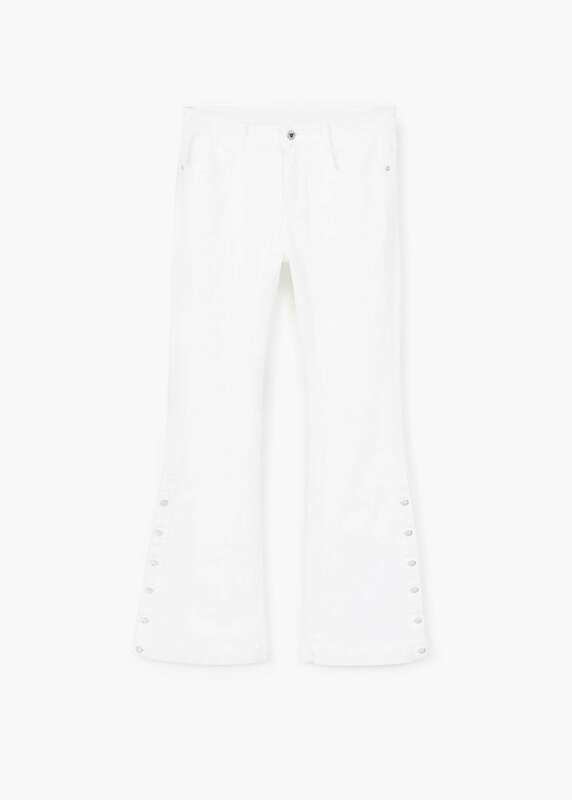 They flare beautifully and they’re in a stunning White! -Sidenote doesn’t the Black Corset Belt the model is wearing look kinda’ like the ones I got from Zara? As always, they’re significantly longer on me than they are on the model. I’ll show you in a future “Lookbook” post. 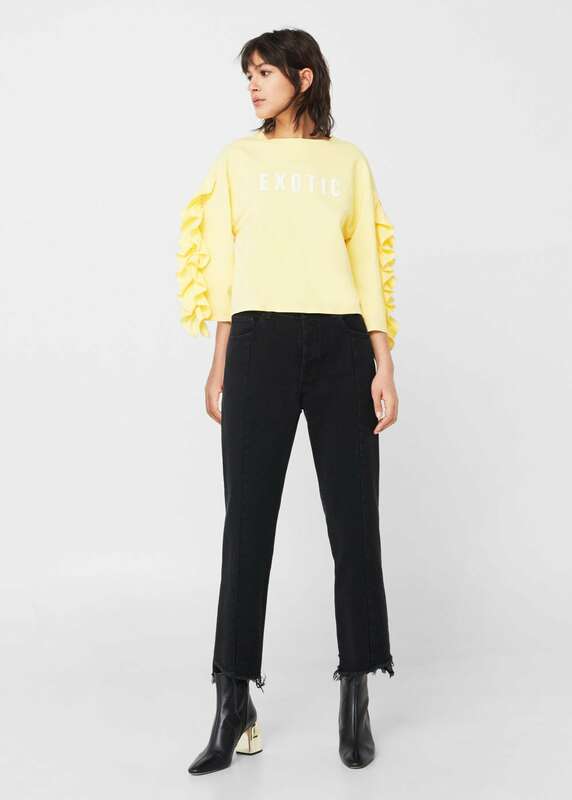 How cool is that flare? How cool are those press studs? 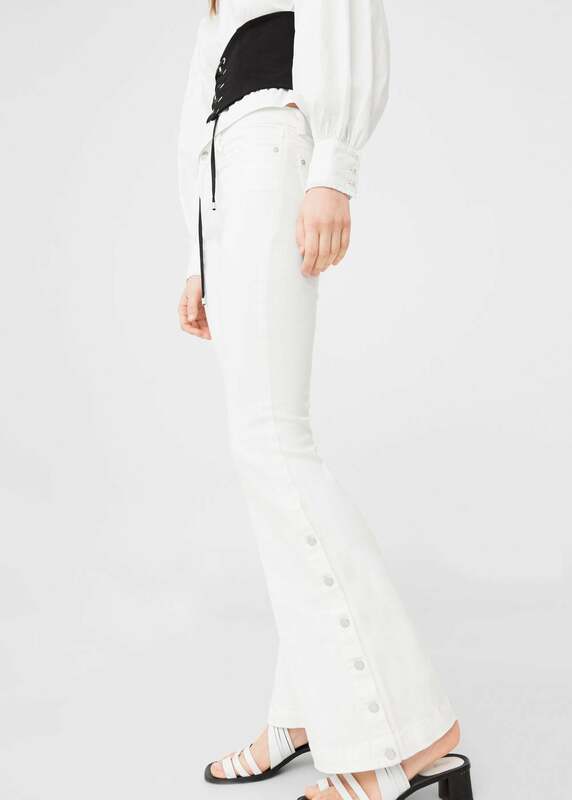 How cool are these Jeans? 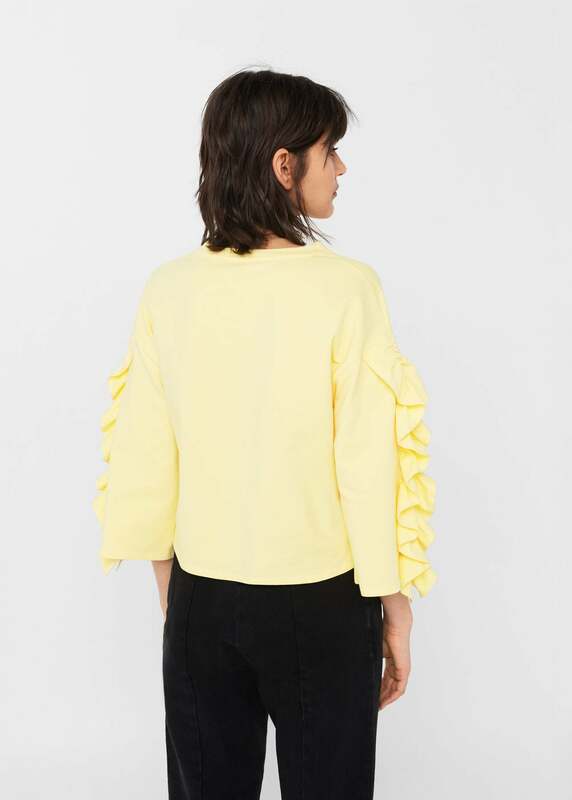 I’m not a huge fan of Ruffles but for some reason I just could not walk away from this Ruffled Sleeves Sweatshirt. It was also available in an Aqua Green (Seafoam Green but whatevs) that read “Poetic” and a Neon Pink that read “Ironic”. 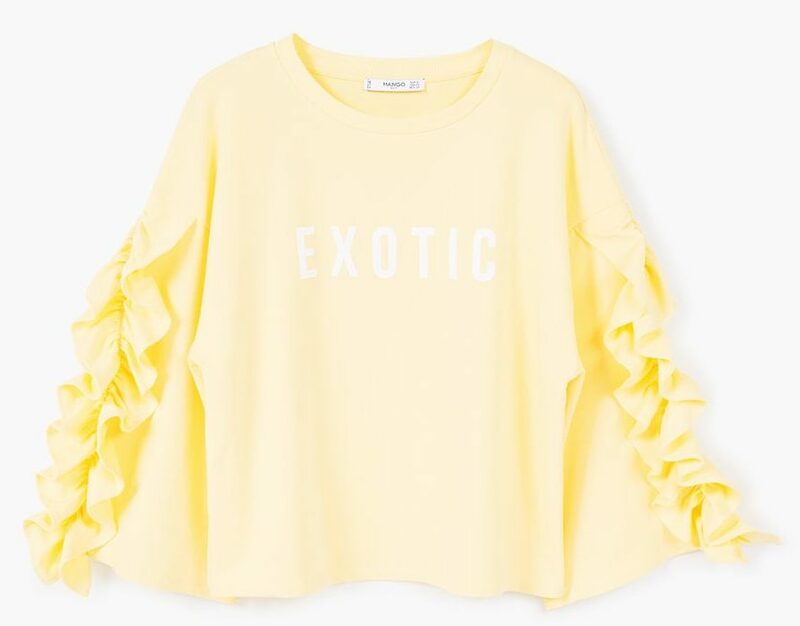 I chose the Pastel Yellow that read “Exotic” because I enjoy graphic t-shirts or slogan tops in general, and I love Yellow and lastly anything with a flare, I believe to be flattering. 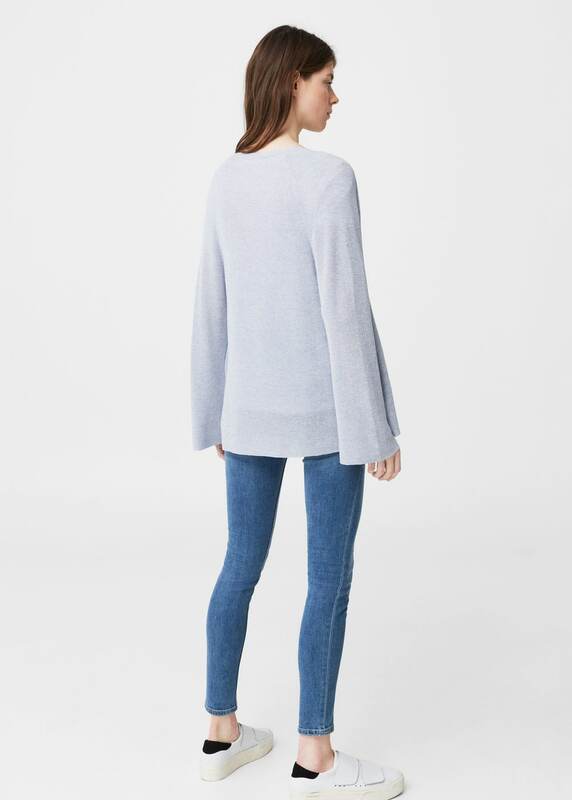 Even though I am quite short, the length on this thing was quite awkward… on me (actually kinda’ reminds me of the boxiness of the Forever 21 Pastel Blue Fisherman Sweater).I guess its meant to be cropped? Even the sleeves were three-quarter length which I am never a fan of but like I said, I just could not walk away from it. I love the fact that the sleeves were flared though! 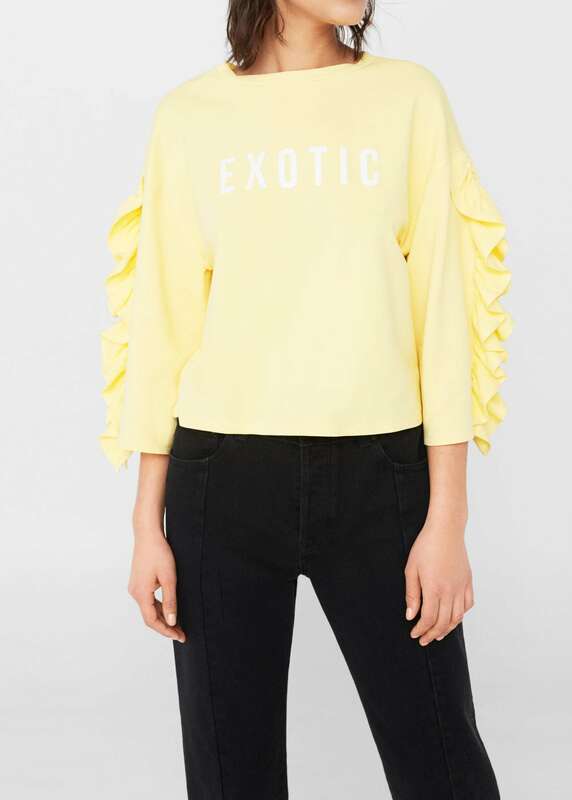 I actually still own a neon yellow (in black tribal print), flared sleeve, fitted top that I’ve had since I was 16 because I just can’t bear to part with it (issues). 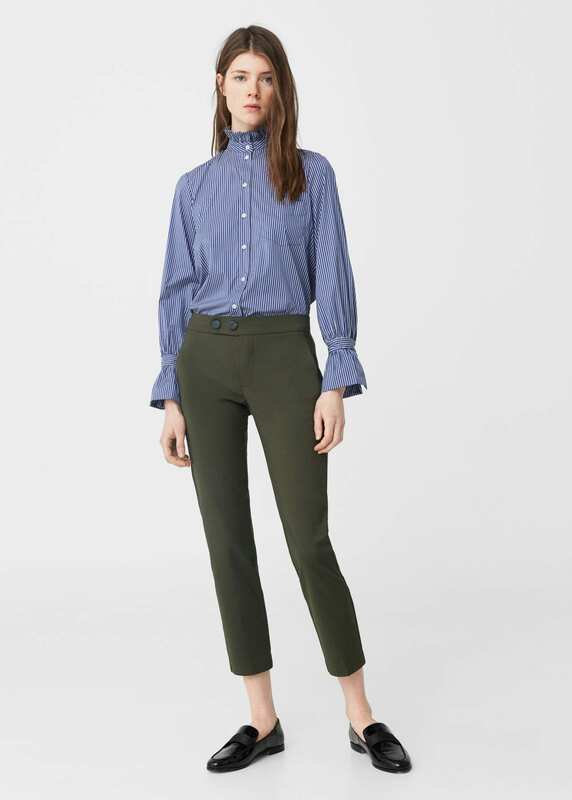 These Straight-Cut Crop Trousers were folded on the table by the entrance and were available in several different colors including Red, Black, Dark Navy, and Medium Brown (looks more like Tan to me but whatevs). 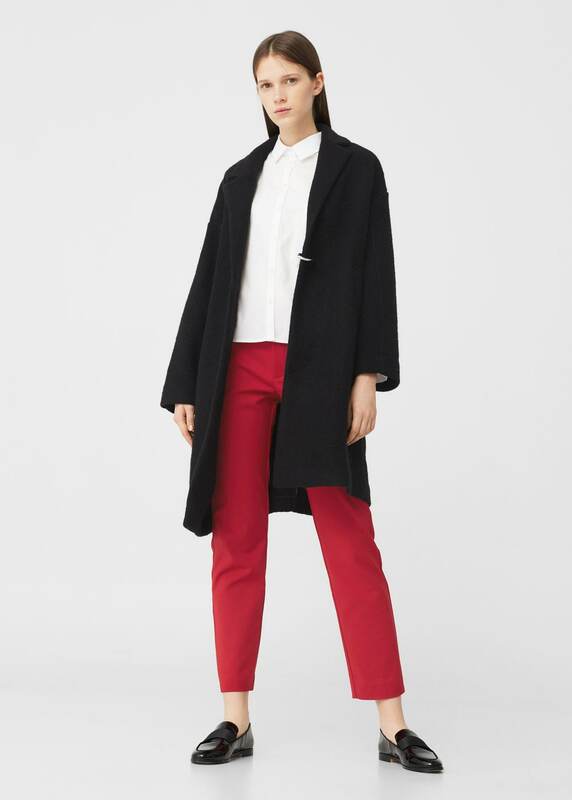 You’d think I’d have gone for the more practical Black or my usual go-to Dark Navy but the one in Red just looked so bright and fun! As always, they were much longer on me than they appear to be on the model. 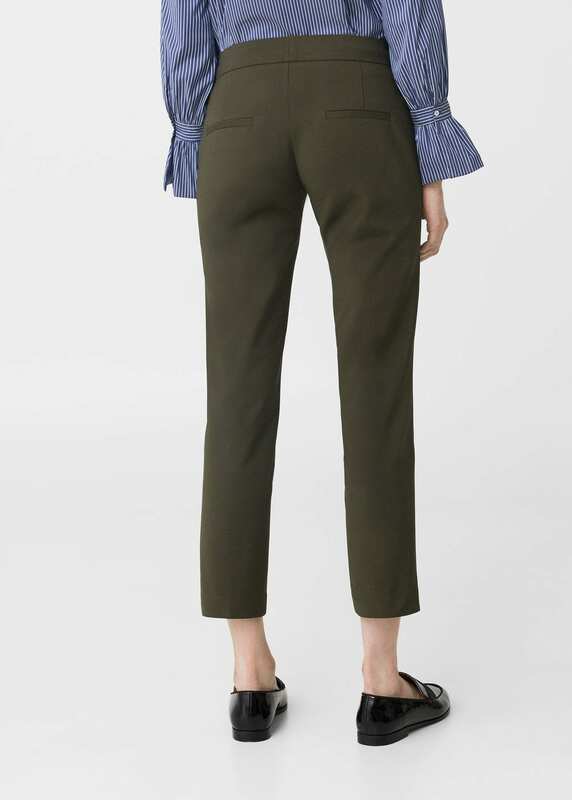 In fact, they looked like regular pants as opposed to cropped pants (which I actually prefer). Cropped lengths can look somewhat awkward on myself because they chop up my already short silhouette which results in me looking even shorter. They looked quite flattering when I tried them on but in all honesty I had to go a size up. They had a medium waist, side pockets (+10 swag points), welt pockets in the back (useless) with a button underneath each pocket (why? ), belt loops, a zip and one button fastening. The zip kept getting undone (on it’s own) which is why I went a size up. 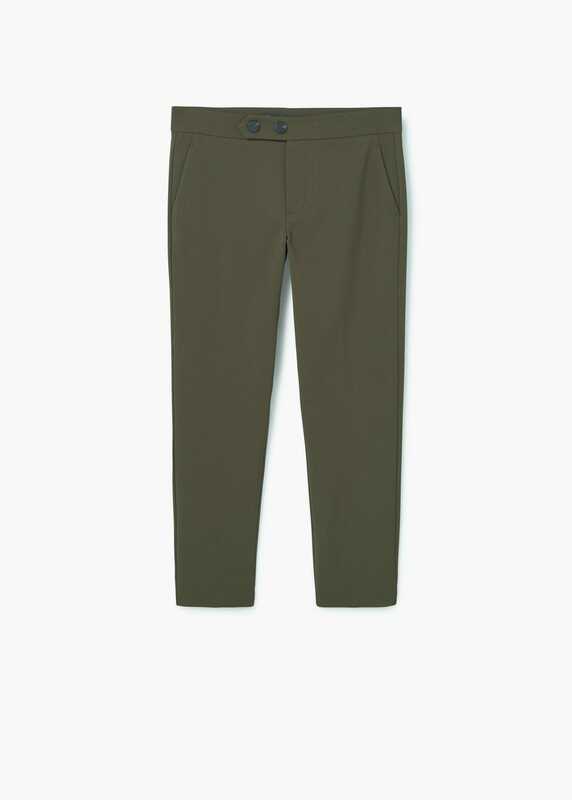 On that same table, I picked up another pair of “cropped” pants in a different style, these Straight Suit Trousers. They were also available in several different colors including a Black, Dark Navy, White, Light Pink, Light/Pastel Grey, and Medium Green. I liked the button fastening at the front because it looked a bit different but sadly there were no side pockets (-10 swag points). It also looked a bit blah from the back but I was obsessed with the Green so I got it anyway. 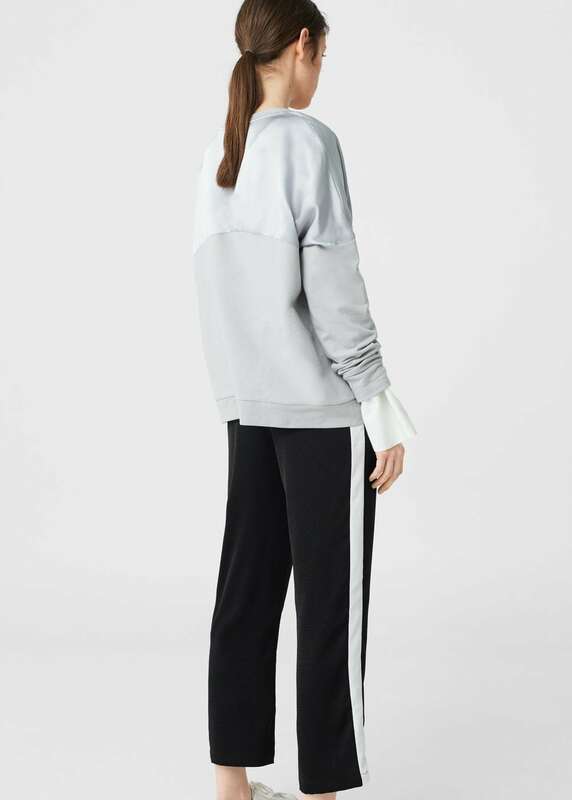 No offense intended towards anyone who is into cardis but I believe they can veer a bit towards “soccer mom” territory and as such I tend to stay away from them. 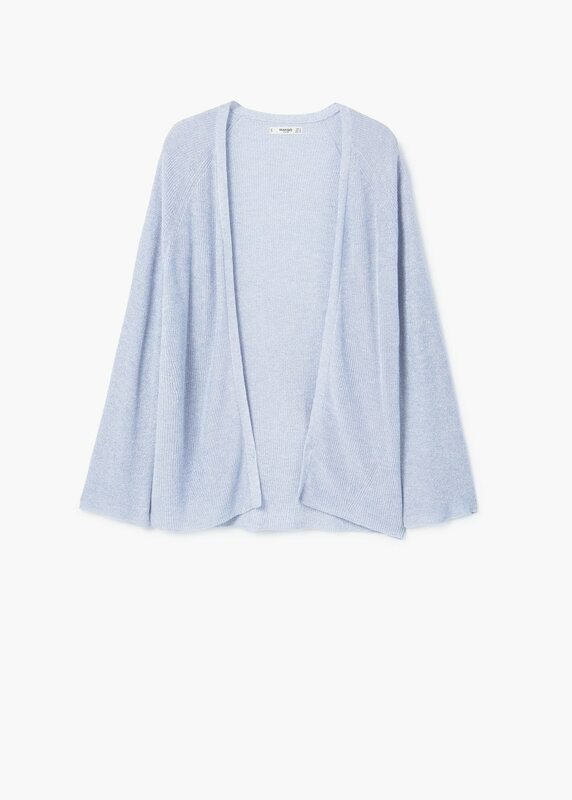 With that being said, I was obsessed with this Metallic Finish Cardigan in the color Sky Blue (only comes in this color). It had a feminine waterfall neckline which I thought was pretty! Even cooler was the long flared sleeves! Anything flared, I believe to be flattering, especially on “curvy” women. Most of all, I was drawn to the metallic thread in the Sky Blue fabric. 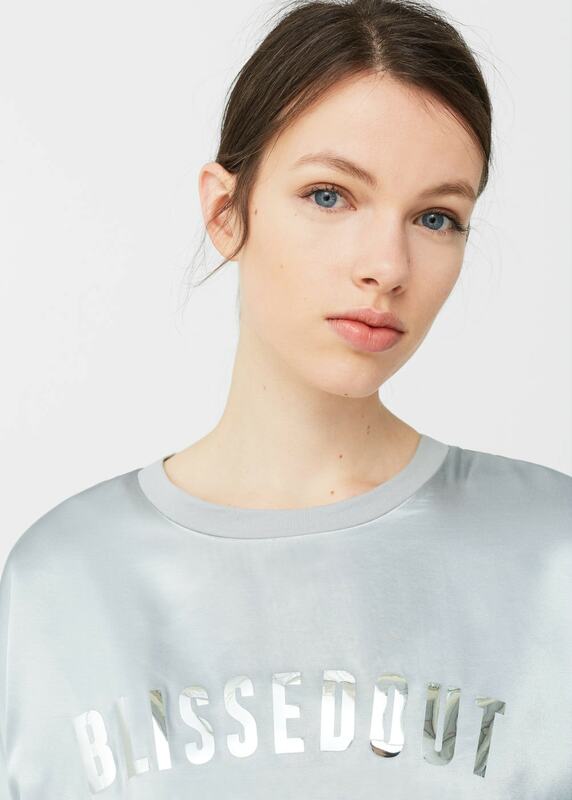 I’m not big on metallics normally but this was so subtle and it just gave the whole thing this ethereal beauty (like it was woven by fairies!) which charmed me! 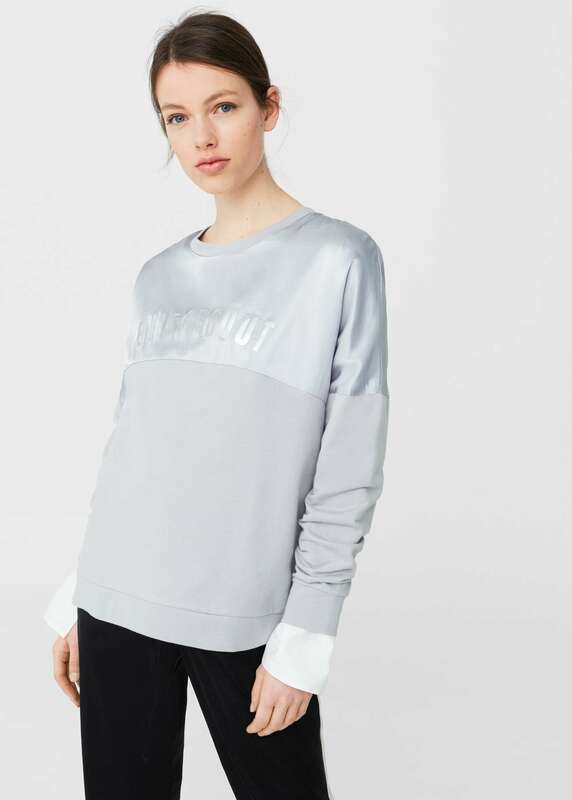 In the same color family, I picked up this fun Satin Panel Sweatshirt in Light/Pastel Grey that reads “Blissed Out”. Aside from the top panel part which is satin, the rest is all cotton. 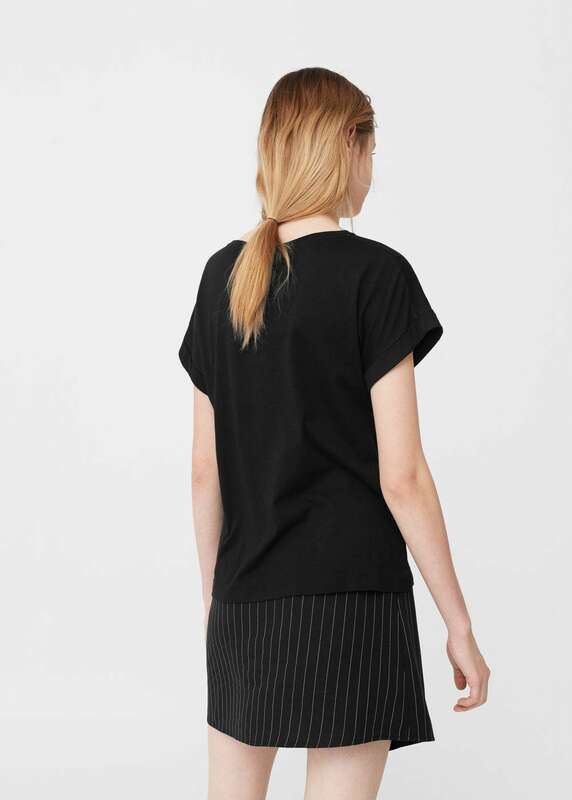 It also has a rounded neck, dropped shoulder seams and long sleeves. I didn’t like the way the sleeves bunched up so I went a size up. 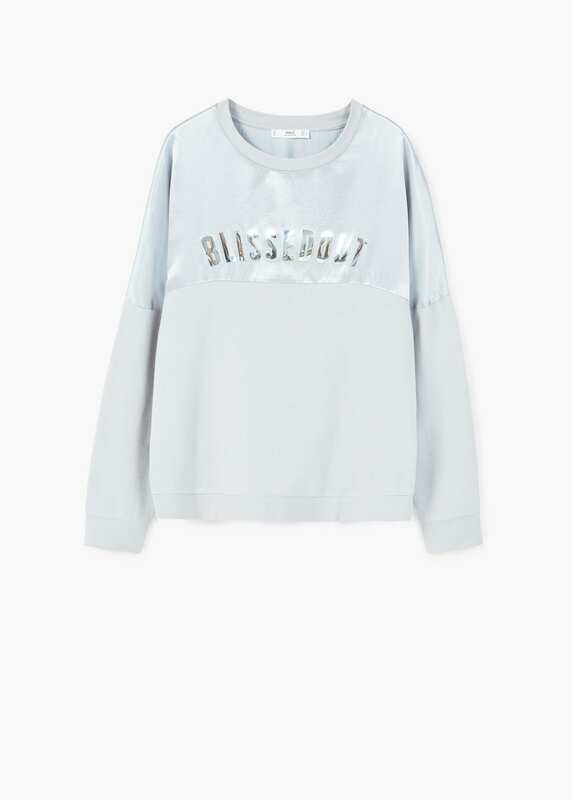 I like how “Blissed Out” is in mirrored print which was a nice touch! 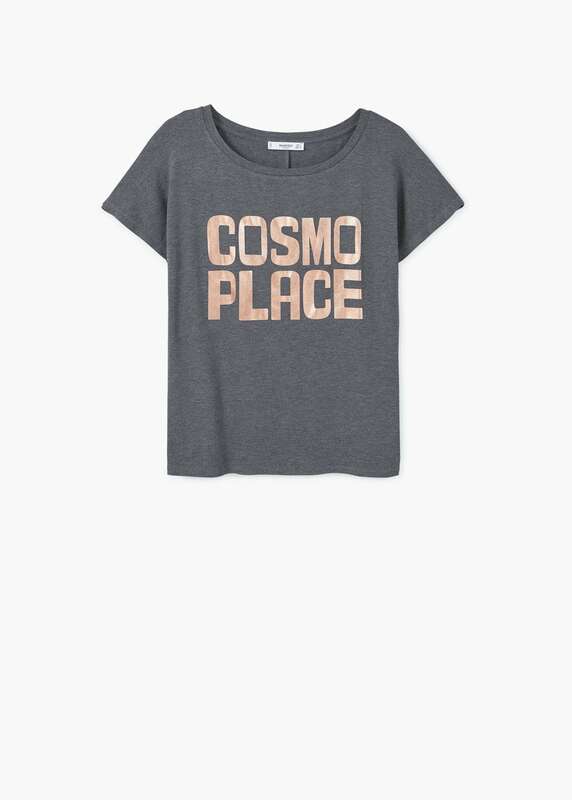 I also picked up this Printed Message T-Shirt in Dark Heather Grey because I love my taupes and greys but I thought the metallic print that read “Cosmo Place” looked lovely against the the darker grey background, particularly since the print came across as Rose-Goldy. 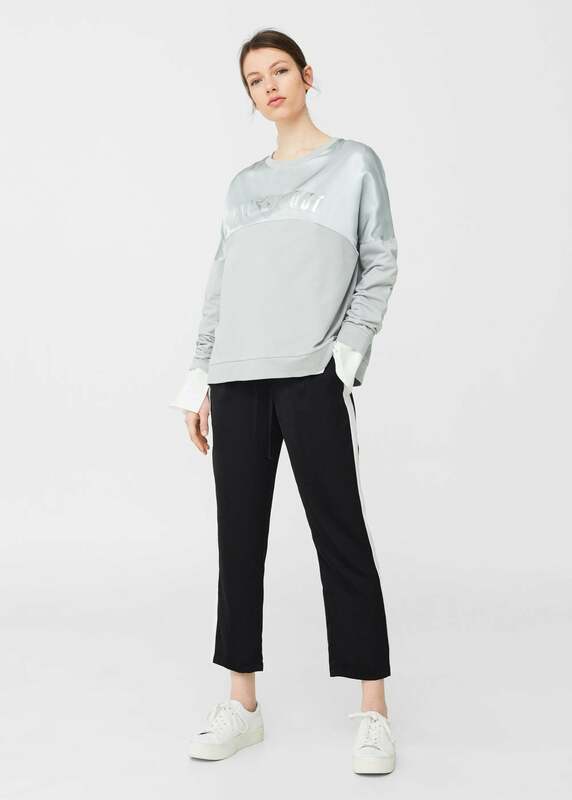 I promise I’m not big on Metallics but since I’d picked up the Satin Panel Sweatshirt that also had a mirrored Metallic Print and the Metallic Finish Cardigan, I figure why not keep it going? I’m big on color schemes/theme… apparently. 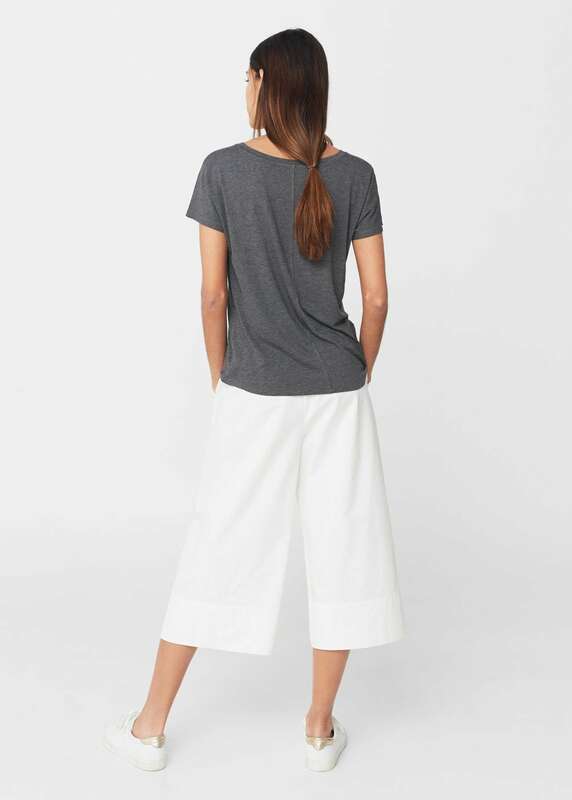 Plus this was short sleeve and would come in handy during the summer since I live in tops like these and Jeans. 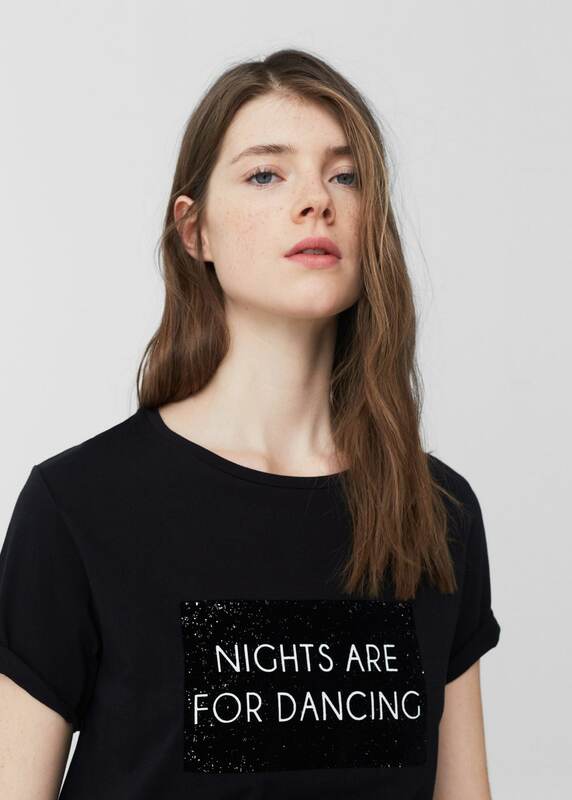 This Glitter Message T-Shirt was a must-have! I mean… just look at it! It was only available in Black. With that being said, if it was available in any other color, I would’ve passed because it might’ve come across as OTT however since it was in Black, it seemed a bit more subtle (lawl). 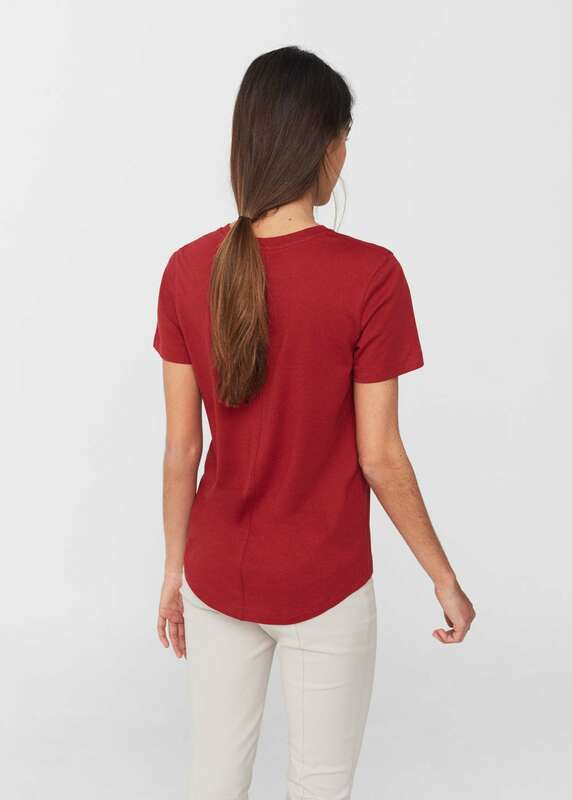 It was short sleeved and had a rounded neck. 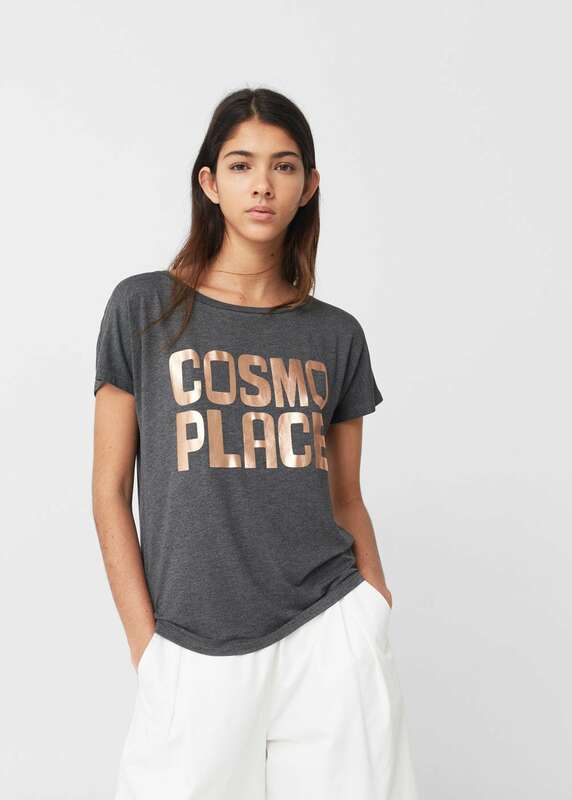 You can never have enough of those kinds of T-shirts. They’re just such good basics to have. 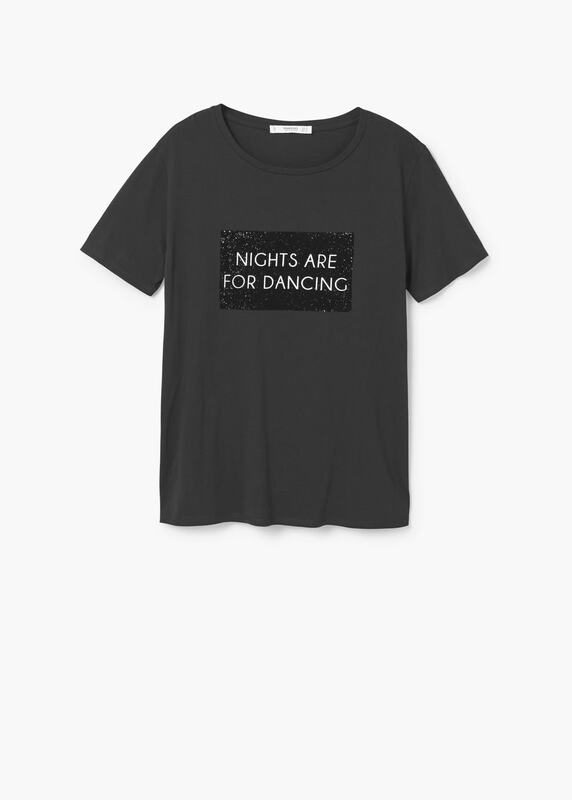 This one in particular had a textured panel… that was decorated with glitter… and read “NIGHTS ARE FOR DANCING” (so whimsical and fun!) which I agree with whole-heartedly! 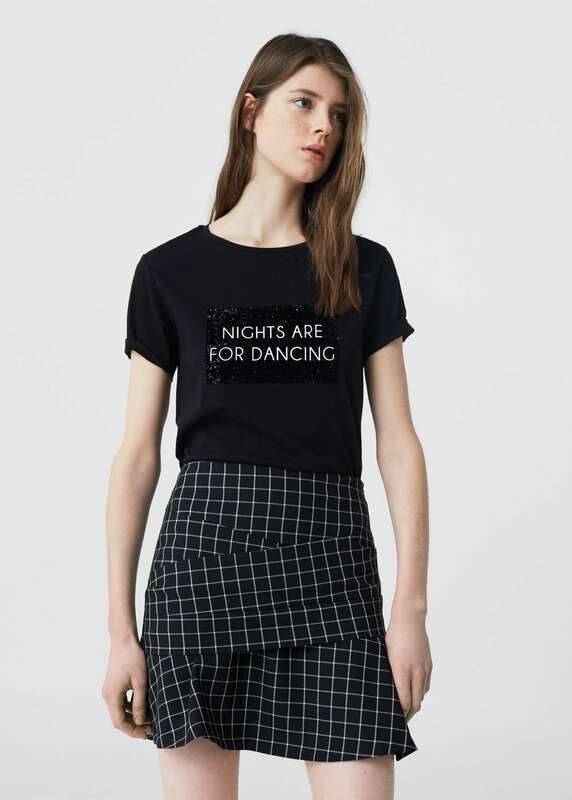 Then again, I believe all hours of the day and er, night are for dancing (lawl). I picked up two of this Logo Cotton T-shirt. I know, I know. I’m insane. It had a rounded neck and short turn-over sleeves (+5 swag points). 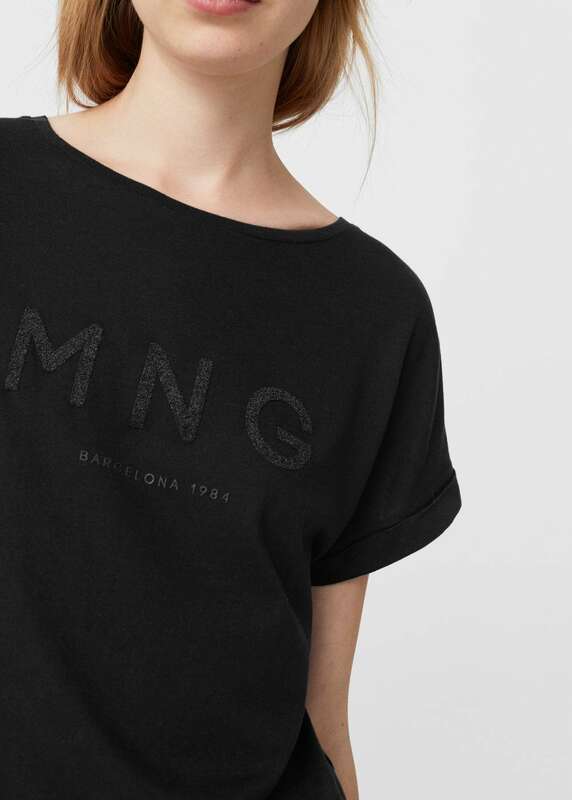 It also had the Mango logo (MNG) embroidered on the front, with decorative beads and read “Barcelona 1984” directly underneath the textured “MNG”. 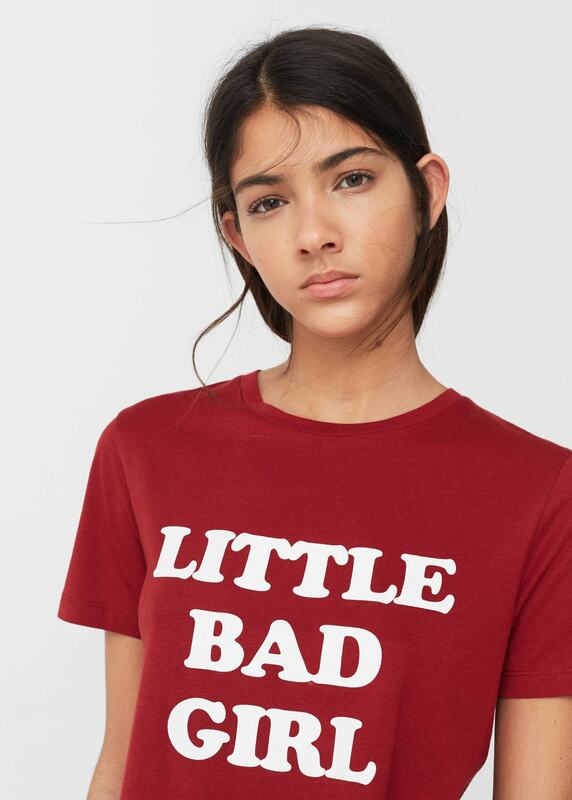 This Cotton Modal-Blend T-Shirt in Cherry that reads “Little Bad Girl” strongly reminded me of my “Little Miss Bad” T-shirt inspired by the Mr Men and Little Miss Children’s Books which I actually referenced in the first paragraph in my Book Club post. Black read “Taken” on the sleeve. Dark Heather Grey read “Rebel Unicorns”. Light Heather Grey read “Rock Me”. Pink read “No Need Makeup”. 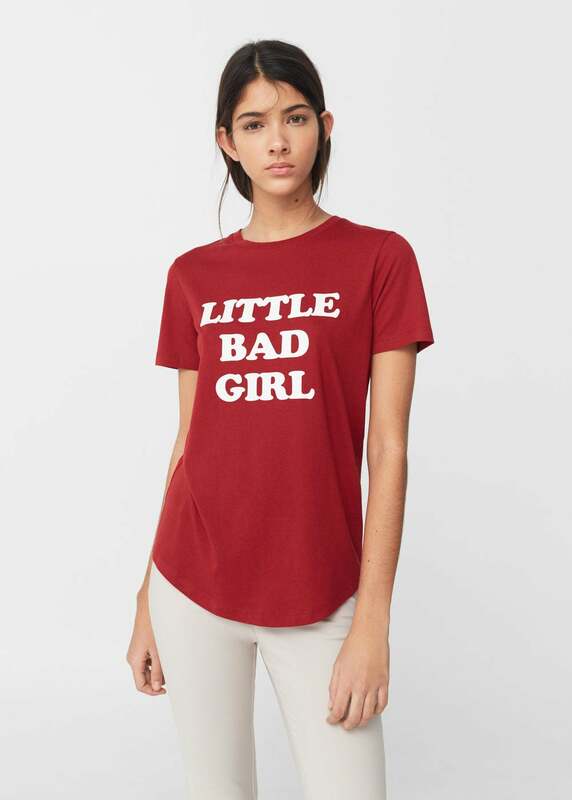 Cherry read “Little Bad Girl”. I picked up the one in Cherry because I’m slowly but surely becoming obsessed with Red. 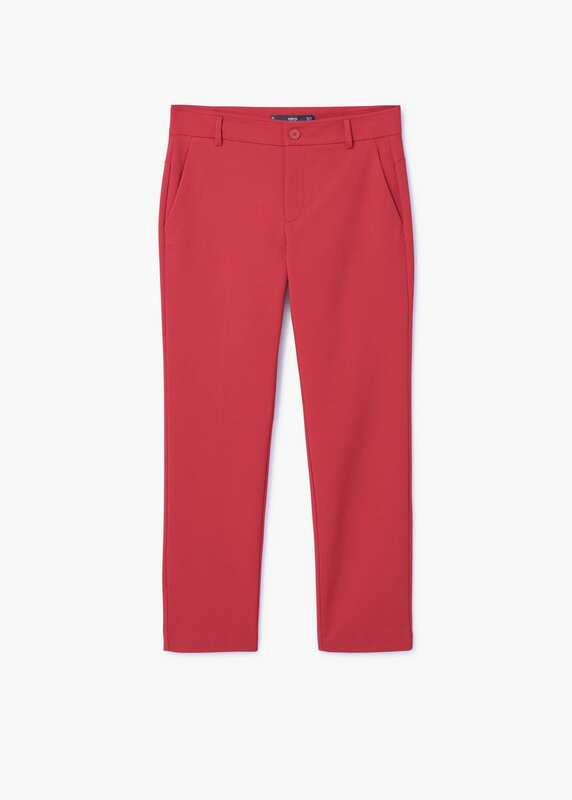 Plus I figured these might possibly pair well with the Red pants. 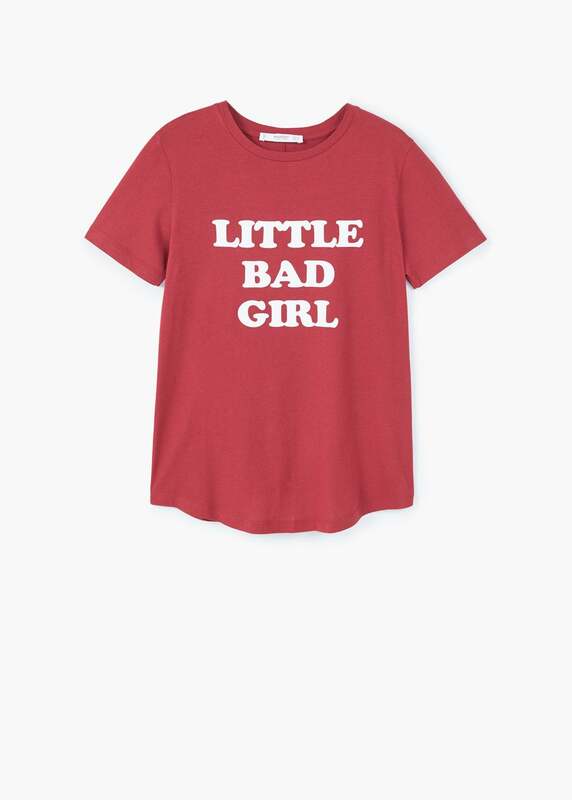 Also because it had the cutest message out of all of them and reminded me of my Junkfood T-shirt that read “Little Miss Bad” that I used to own way back in the day (possibly 10 years ago). 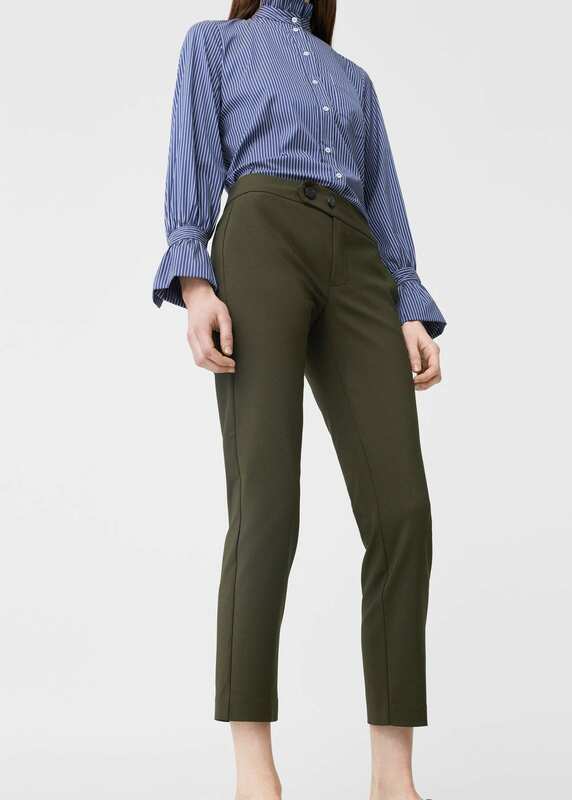 They were already ringing up my purchases at the cash register and I was absolutely done with trying on clothes for the rest of the day but these Flowy Trousers caught my eye so I grabbed them and tossed them into the pile. 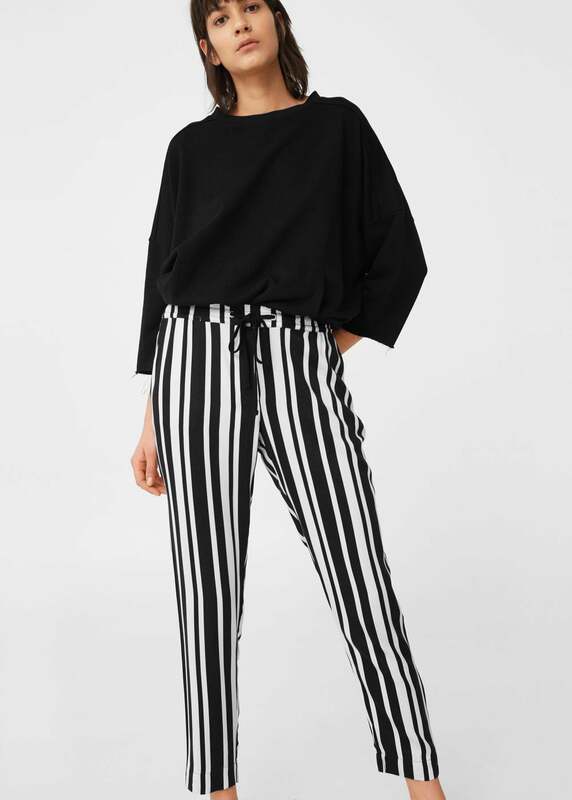 They were available in solid Black, solid Dark Navy, solid Khaki, solid Beige, and these stripe-y Off-Whites. 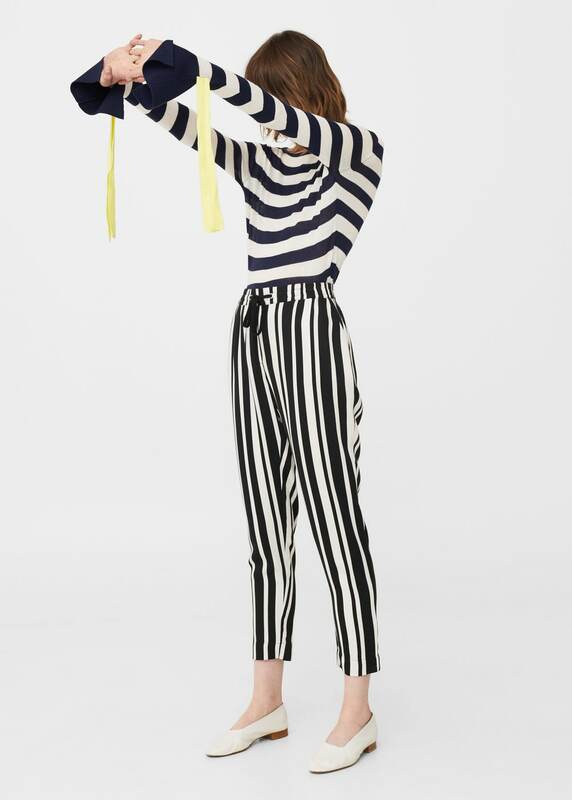 I loved everything about the stripes from the color to the contrasting width of each stripe and so on. However, once I tried them on back home (way past the 14 day return policy) they looked absolutely hideous on me! While they might look great on the model, they were actually bulky on myself… in all the wrong places. I might be over-weight but I’ve always had a blatant disproportionately small waist (which I don’t go out of my way to emphasize because in contrast everything else seem larger which I find distasteful). These pants made my tiny waist look big. They also made the rest of me look very big. For once, they were also “cropped” on me, as intended but it wasn’t a good thing because that somehow made them even more unflattering on myself. 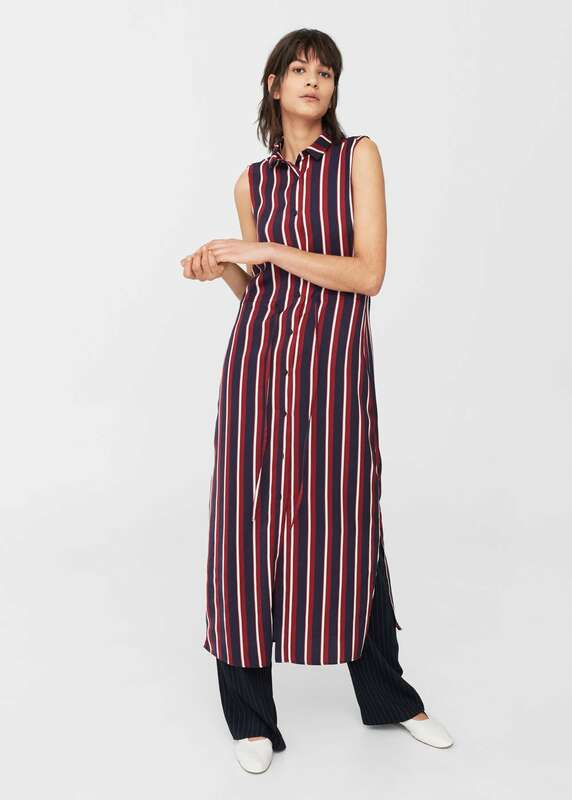 I always suspected I was somewhat short but according to Mango, I’m a straight up midget because most of their clothes were ridiculously long on me. Anyways, I feel like I got a good mixture of some brights and some neutrals. If you follow trends, the color of the year is “Greenery”. 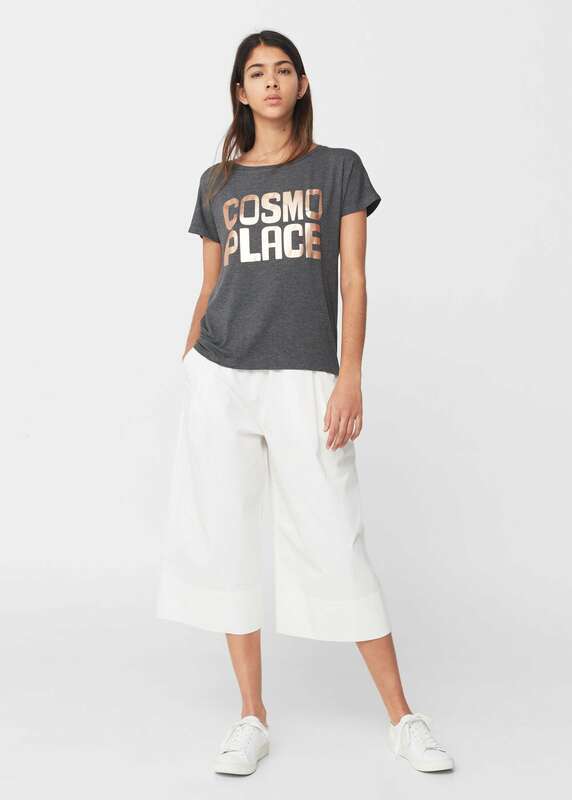 Also, Red, White, Metallics, Flares, and Slogan Tees are all having a moment. 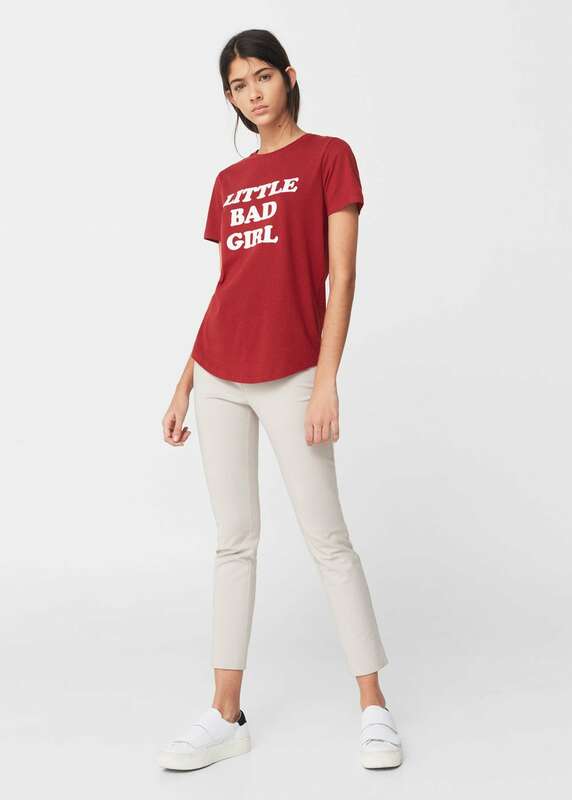 I’m glad I got 5 basic T-shirts which are always handy and 2 Pants that aren’t Jeans, 2 playful Sweatshirts, and a gorgeous flared Cardigan! 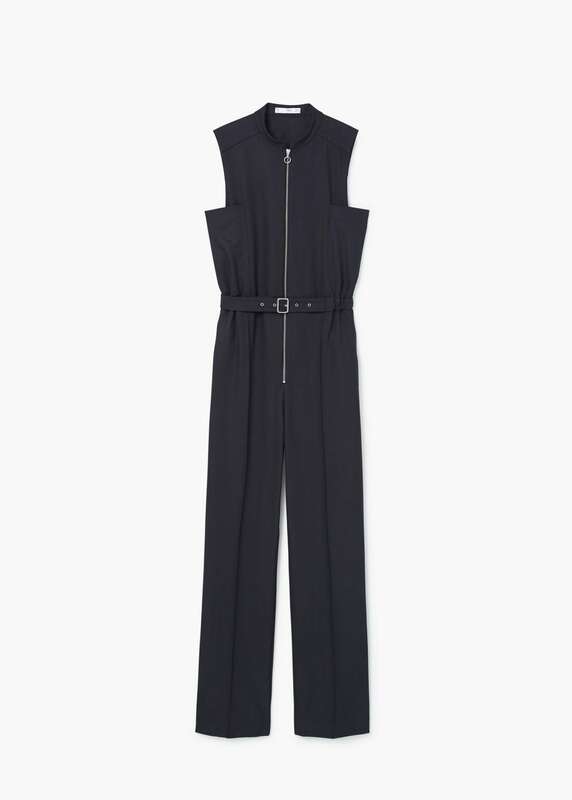 The Jumpsuit seems dressy enough for something or other, especially when paired with heels. 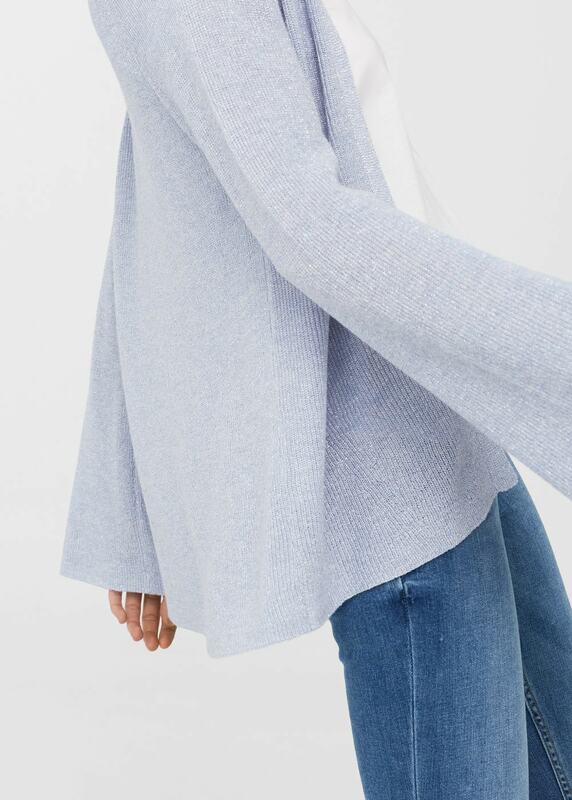 The Flared Jeans and the Long See-Through Cardigan are ridiculously cool! 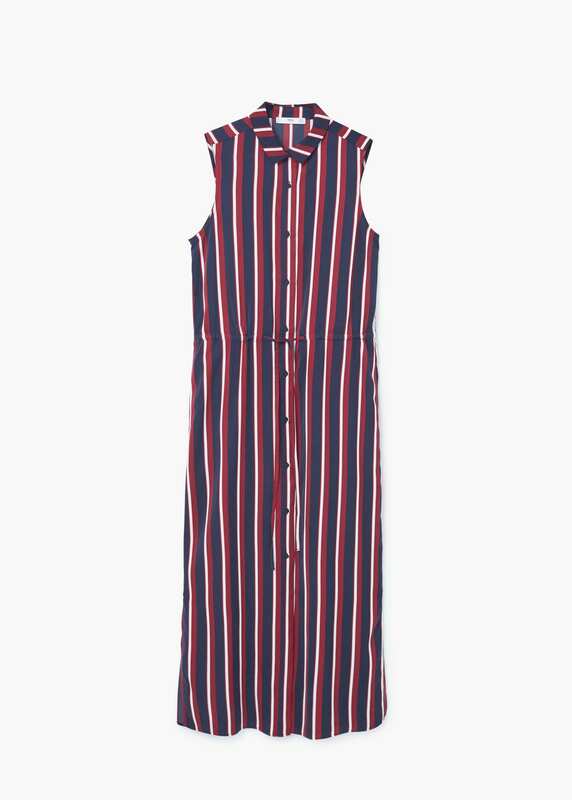 My favorite item has got to be the Striped Print Dress whereas my only regret is the Striped Flowy Pants. 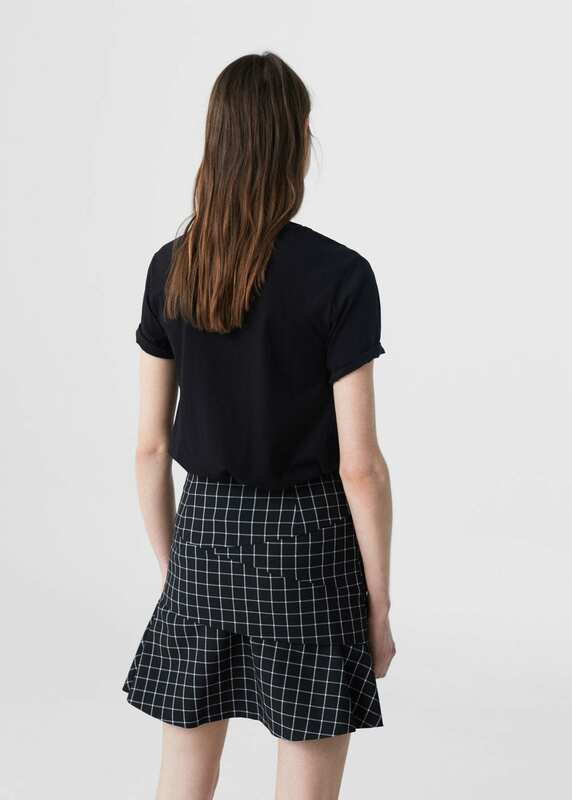 Overall, I spent KD 180/300 on 15 articles of clothing which is to be expected from Mango but I’m happy with what I got.